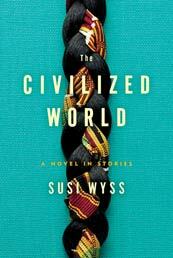 Set primarily in Africa, Susi Wyss’s debut novel ‘Civilized World’ is a set of interconnected short stories following the lives of five women: Adjoa, a Ghanaian woman; Janice, an American expatriate; Ophelia, a foreign-service wife; Comfort, a Ghanaian woman who travels to the U.S where her son is married to Linda, an American woman. The first four chapters introduce us to these five ladies, and the rest of the book we see how their lives unfold and how they are connected. There are stories of women showing strength in the face of life’s challenges; of ideas of what it is to be ‘civilized’ – western vs. African notions; of the tensions between mother and daughter-in-law; and of family. It was also interesting getting a non-African, who has lived and worked in Africa for many years, perspective on Africa. I found it very easy to read and very enjoyable.